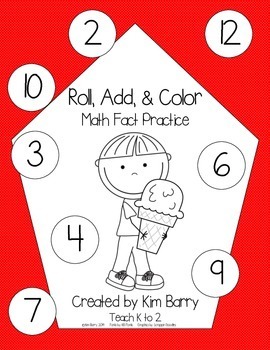 Roll, Add, and Color is a great activity for children to practice their math facts independently. 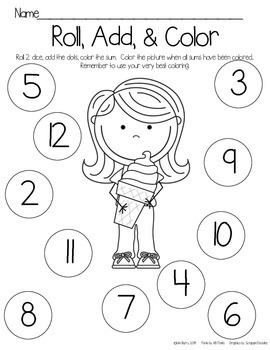 Simply roll 2 dice, add the dots, and color the spot for the sum. 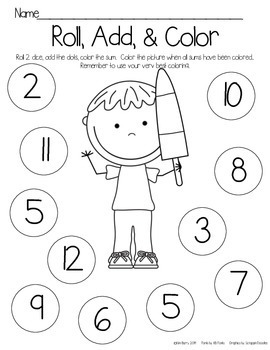 I use this activity with my children regularly. 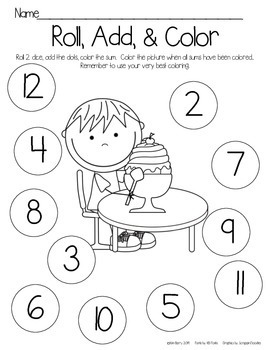 It can be used as a quiet math center, or it’s perfect for the early finishers. The children are always excited to see the new Roll, Add, and Color that I have added to our Early Finishers Board.